by Van P. Hilderbrand, Jr. and Russell V. Randle at Miles & Stockbridge P.C. Companies regulated by the U.S. Environmental Protection Agency (U.S. EPA) have long complained that U.S. EPA too often uses guidance documents improperly, both to expand regulatory requirements beyond what the law permits and to avoid judicial review of such expansions. 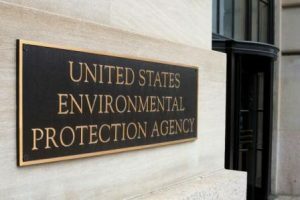 Moreover, regulated parties often argue that the U.S. EPA rigidly enforces such guidance as binding federal rules, but ignores such guidance when it likes. Without expressly referencing the U.S. EPA, the Department of Justice (DOJ) has now taken action that will make it harder for such alleged misuse to occur, whether by the U.S. EPA or by other agencies whose rules the DOJ enforces in federal civil cases through civil penalties and injunctive relief. Guidance documents serve an essential role in environmental regulation, given the great complexity of the ecosystems to be protected and the intricacies of the industries regulated. The U.S. EPA often publishes policy and guidance documents to clarify enforcement authority, to encourage compliance, and to offer the official interpretation or view on specific issues. Over time, these policies and guidance documents have become a key tool in the DOJ’s enforcement toolbox. 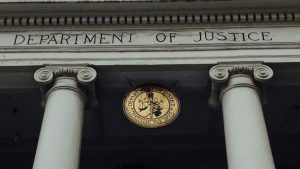 DOJ attorneys have used non-compliance with these policies and documents as evidence that the underlying regulation or statute has been violated. Regulated parties have long objected to this practice because, unlike the underlying regulations, these guidance documents seldom are subject to the notice-and-comment procedures of the Administrative Procedure Act (APA) or judicial review before an enforcement case is brought, when a challenge to the EPA interpretation is a very high stakes gamble. On January 25, 2018, the DOJ offered the regulated community some relief from this practice. Ironically, it did so in a Policy Memorandum – a guidance document – entitled, “Limiting Use of Agency Guidance Documents in Affirmative Civil Enforcement Cases.” This policy memo prohibits DOJ attorneys from relying on agency guidance documents as the sole basis for their civil enforcement actions. In other words, DOJ attorneys can no longer bring enforcement actions that require compliance with agency policy and guidance in lieu of clearly articulated requirements in properly promulgated and binding federal rules. The Policy Memorandum’s impact across various regulated industries such as healthcare, finance, and tax will differ and remains uncertain; however, we see a particularly significant effect on DOJ’s ability to enforce environmental regulations and statutes administered by the U.S. EPA. What does the Policy Memorandum say? Treat a party’s noncompliance with an agency guidance document as presumptively or conclusively establishing that the party violated the applicable statute or regulation. The Policy Memorandum does not impose an absolute bar against using agency guidance; instead, DOJ attorneys may “continue to use agency guidance documents for proper purposes in such cases.” For example, guidance documents are often used as evidence that a regulated party had “requisite knowledge of the mandate.” This use is expressly still allowed. So is the use of guidance documents that simply explain or paraphrase the legal requirements in the four corners of the existing statutes or regulations, as long as the guidance doesn’t create new requirements. What does the Policy Memorandum mean for the regulated community? In practice, the new policy may reduce the use of civil enforcement actions to advance new EPA policy interpretations, interpretations which typically push the boundaries of the U.S. EPA’s legal authority. This effect may be particularly noticeable in connection with claimed violations under the Comprehensive Environmental Response, Compensation, and Liability Act (CERCLA or Superfund), the Clean Water Act, and the Clean Air Act. Enforcement under these statutes relies heavily on thousands of pages of the U.S. EPA guidance documents. The interpretations of these guidance documents are often a moving target because very few have been subject to comment by the regulated community and the public or judicial review, as DOJ routinely argues that they are not “really” binding or justiciable. The Superfund program, in particular, relies upon guidance documents to flesh out its requirements for removal and remedial work, rather than relying upon rules established under APA procedures. The government will have a more difficult time arguing that violations of EPA guidance constitutes a violation of CERCLA requirements; in practice, such guidance often imposes very detailed and sometimes onerous requirements not mentioned in the statute or any implementing regulation. Similarly, the U.S. EPA and the U.S. Corps of Engineers are no longer relying upon the controversial 2015 rule defining “waters of the United States,” but instead rely upon guidance documents. The DOJ Policy Memorandum may have significant and unanticipated effects in that context, since the court decisions are divided as to what constitutes waters of the United States and what may constitute a jurisdictional wetland subject to permit requirements for dredge and fill work under Section 404 of the Clean Water Act. It will also make it more difficult for DOJ to enforce settlement documents, consent decrees, and unilateral administrative orders since they are typically based on compliance with requirements discussed in dozens of EPA policies and guidance documents. Although the DOJ Policy Memorandum does not address the U.S. EPA’s use of its own guidance documents in settlement discussions, in administrative enforcement proceedings, and when issuing notices of violations, DOJ’s announced unwillingness to rely upon the U.S. EPA guidance documents in subsequent civil enforcement actions should restrain such use, and force the U.S. EPA enforcement personnel to focus on clearer potential violations than in the past. That said, nothing in the Policy Memorandum prohibits a regulated party from citing agency guidance documents in its defense. The Policy Memorandum is part of this Administration’s deregulatory agenda. Using its guidance documents to coerce regulated parties into taking any action or refraining from taking any action beyond what is required by the terms of the applicable statute or lawful regulation. It is no secret that the current Administration has set out a broader regulatory reform agenda focused on regulatory rollbacks to reduce unnecessary regulatory burdens. The recent February 2018 Policy Memorandum is an extension of the limitations imposed by the November 16, 2017 memorandum, and follows on the heels of other regulatory reform measures such as the establishment of various reform task forces and Executive Order (EO) 13771, “Reducing Regulation and Controlling Regulatory Costs,” which requires that any new incremental costs associated with a new regulation be offset by eliminating two existing regulations. Either by EO or by DOJ mandate, the current Administration continues to charge ahead with a deregulatory agenda that establishes less-restrictive rules for the regulated community. Opinions and conclusions in this post are solely those of the author unless otherwise indicated. The information contained in this blog is general in nature and is not offered and cannot be considered as legal advice for any particular situation. The author has provided the links referenced above for information purposes only and by doing so, does not adopt or incorporate the contents. Any federal tax advice provided in this communication is not intended or written by the author to be used, and cannot be used by the recipient, for the purpose of avoiding penalties which may be imposed on the recipient by the IRS. Van P. Hilderbrand, Jr. is a member of Miles & Stockbridge Products Liability & Mass Torts Practice Group. He focuses his practice on environmental litigation, regulatory compliance issues, and advising on the environmental aspects of business and real estate transactions. His work also includes consulting on renewable energy project development and project finance transactions, conducting due diligence and assisting with permitting issues. He represents clients in a wide range of industries, including energy, manufacturing, consumer products, pharmaceuticals, chemicals, transportation, technology and real estate. Formerly an associate with Sullivan & Worcester LLP in Washington, D.C., he previously practiced environmental law at Parker Poe Adams & Bernstein LLP in Charlotte, North Carolina. Russell V. Randle is a seasoned environmental and export control practitioner with decades of experience managing litigation, regulatory compliance and transactional due diligence for his clients. He has extensive experience with Superfund and contaminated properties, including many on the National Priorities List. Russ also has handled numerous matters arising under the Clean Air Act, Clean Water Act and Oil Pollution Act, as well as antimicrobial issues under the Federal Insecticide, Fungicide and Rodenticide Act (FIFRA). In his export controls and sanctions practice, Russ covers the full spectrum of compliance, enforcement actions and audit issues related to defense trade, financial transfers and non-governmental organizations working in areas affected by U.S. sanctions. This article was first published on the Miles & Stockbridge P.C. website.